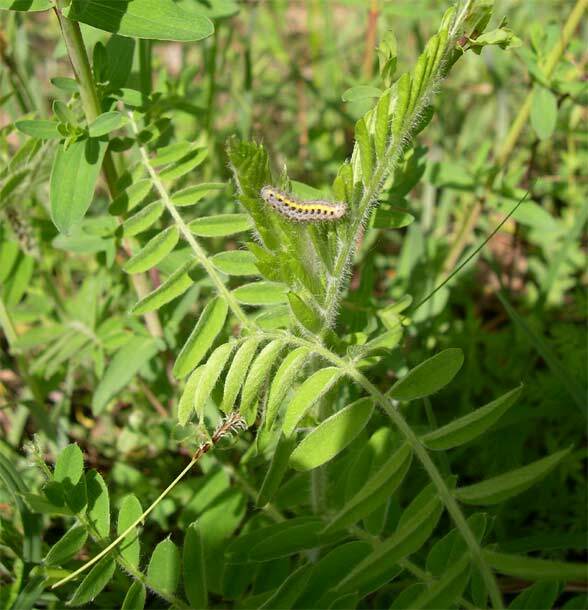 Vicia and Lathyrus species, especially Lathyrus pratensis. 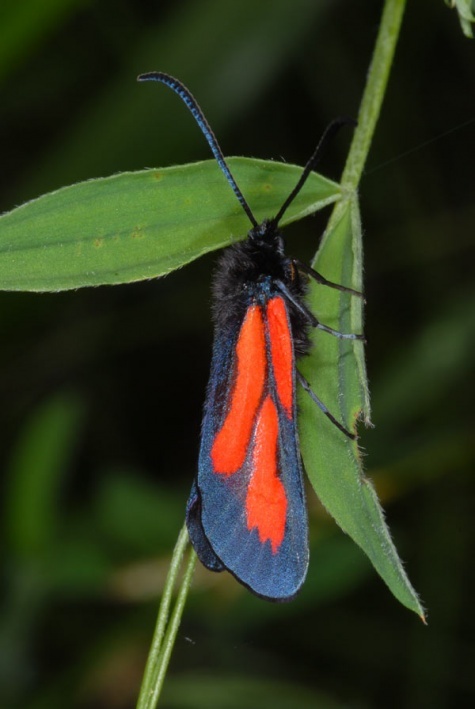 Zygaena osterodensis colonizes verges along forest paths, edges of clearings in open, sunny forests and similar places, most often on limestone. 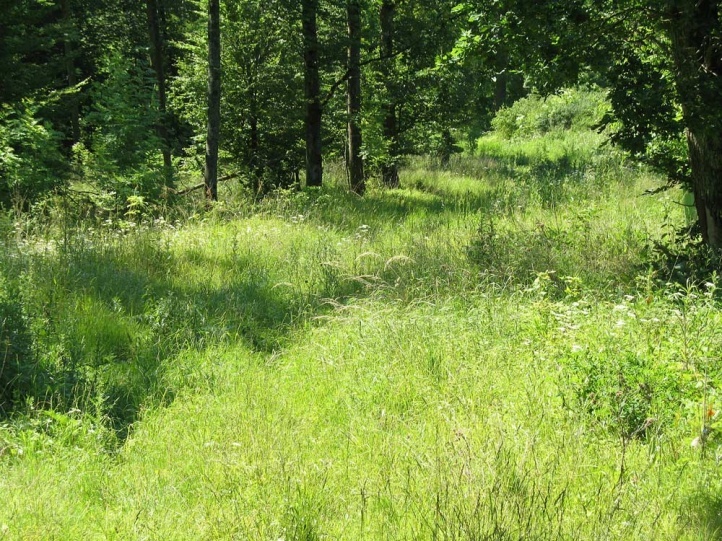 In Germany it still occurs between Main and Danube, but is becoming increasingly rare. 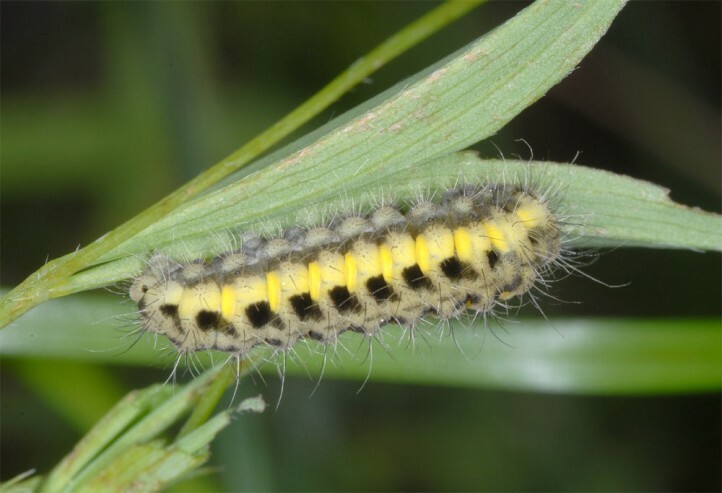 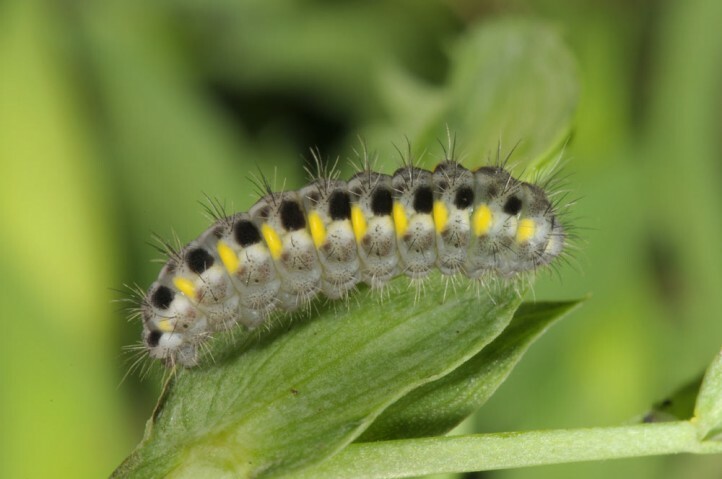 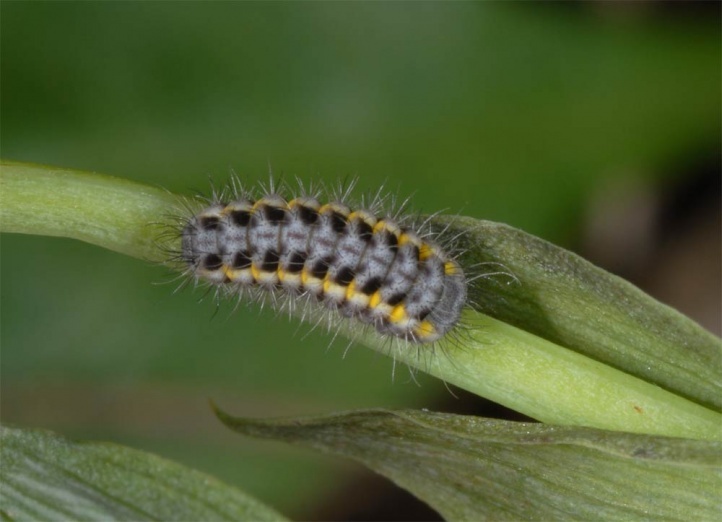 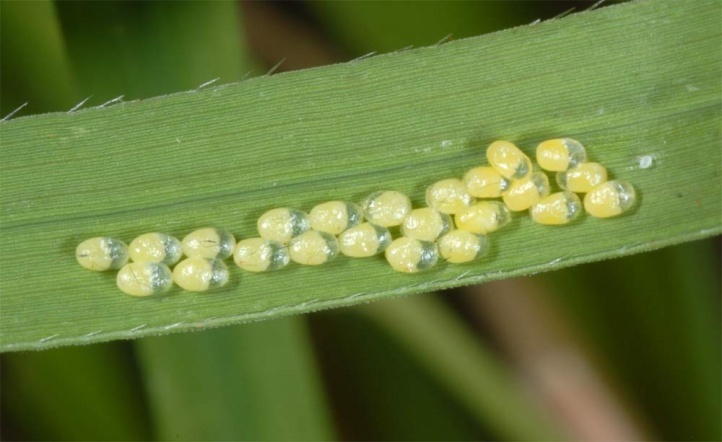 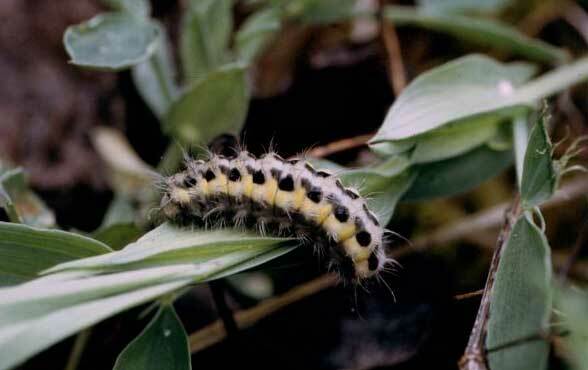 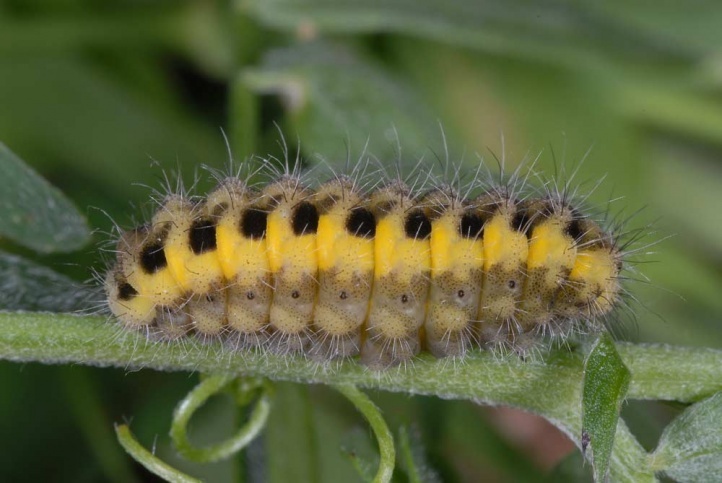 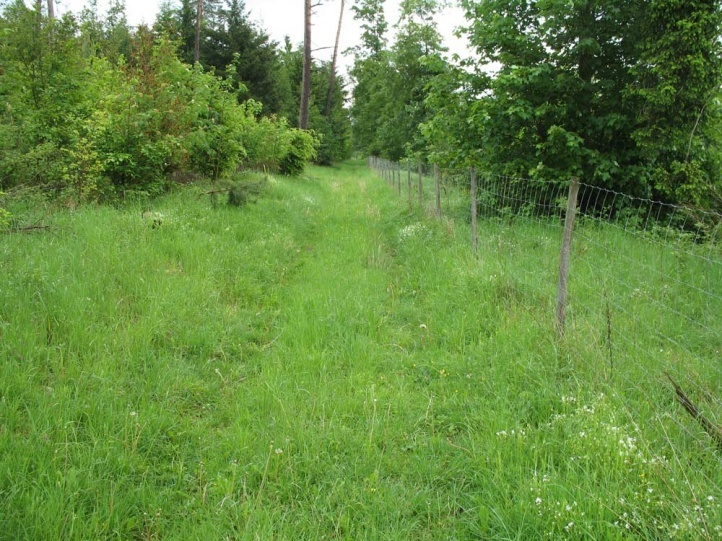 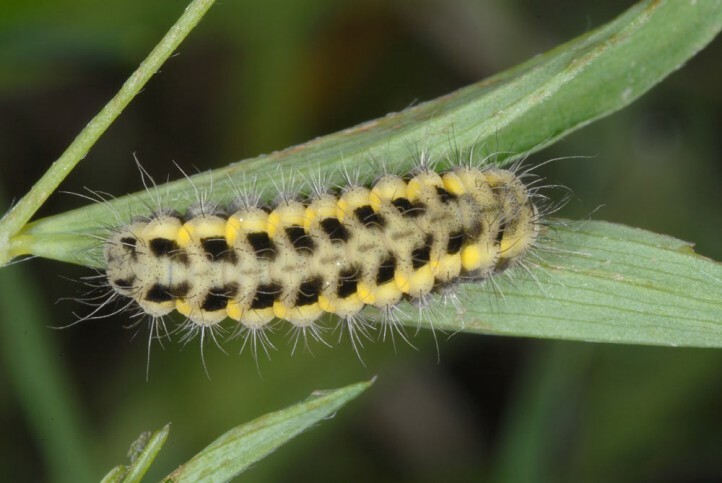 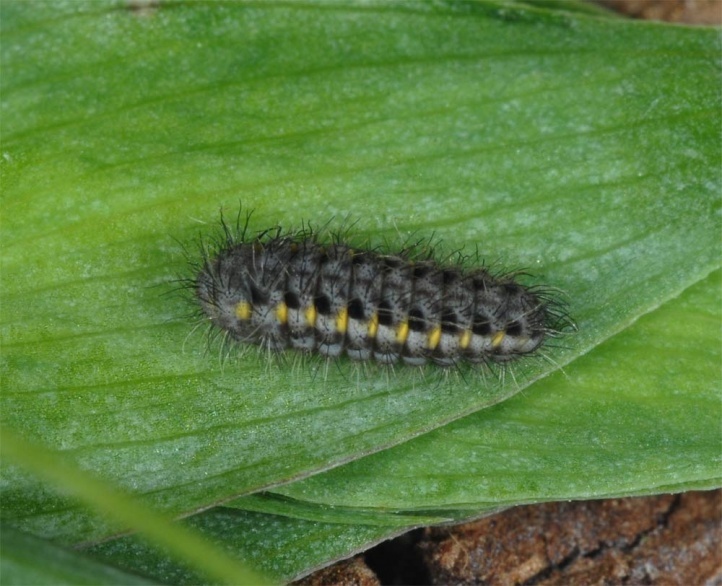 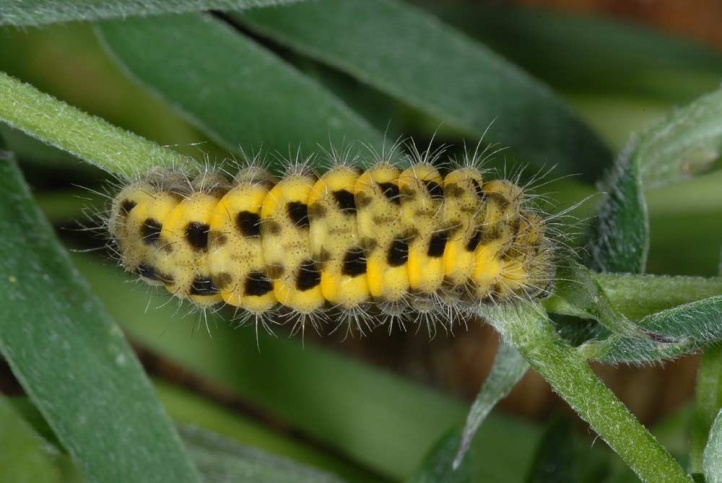 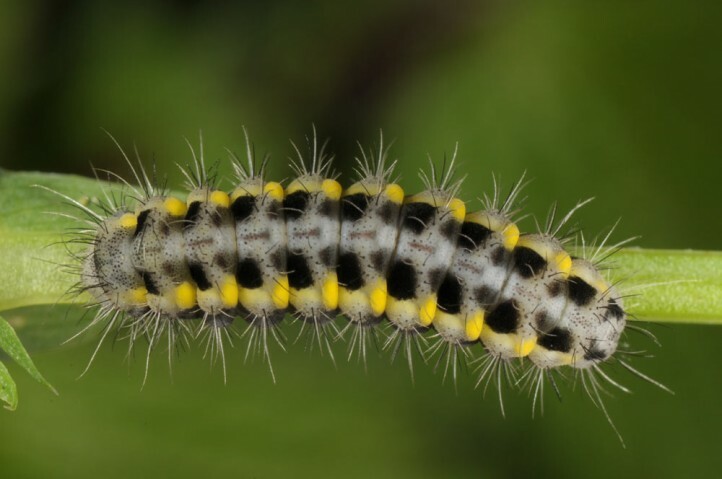 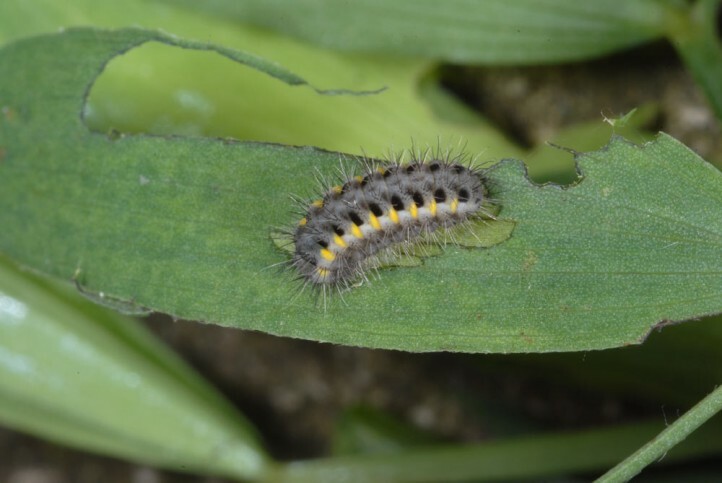 The hibernated caterpillar reaches maturity usually already in early or mid-May (observed in the Northern Bavarian Steigerwald), in cooler areas a little later. 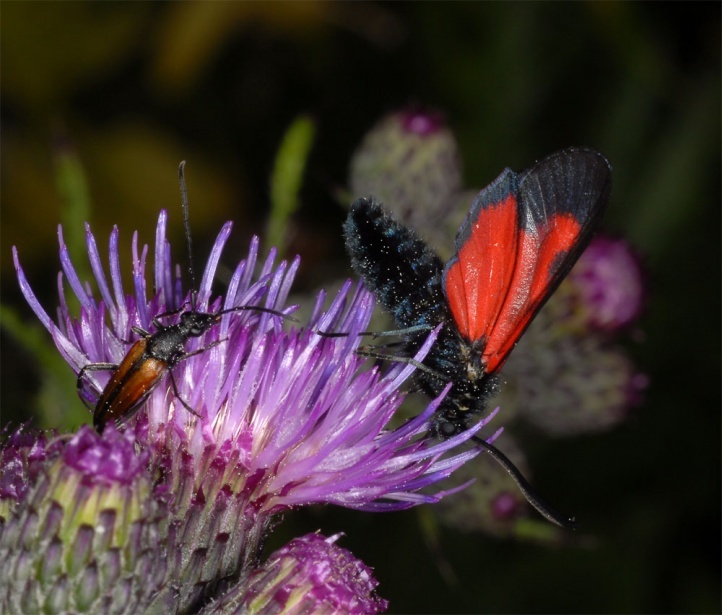 The adults fly from early June to July. 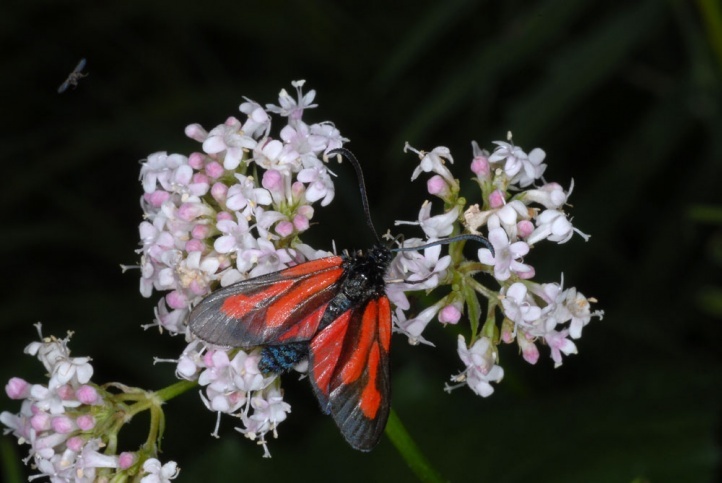 Zygaena osterodensis is rather inconspicuous especially at low abundances. 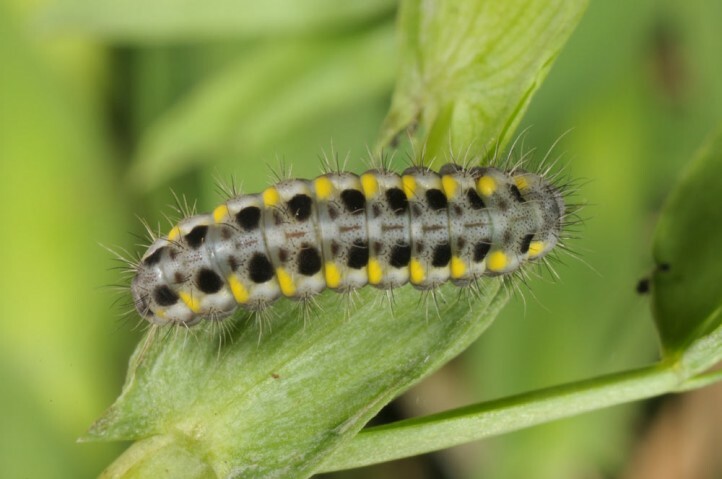 The adults love to visit flowers of Vicia cracca, but also of Valeriana, Ligustrum, Knautia, Lathyrus and other genera. 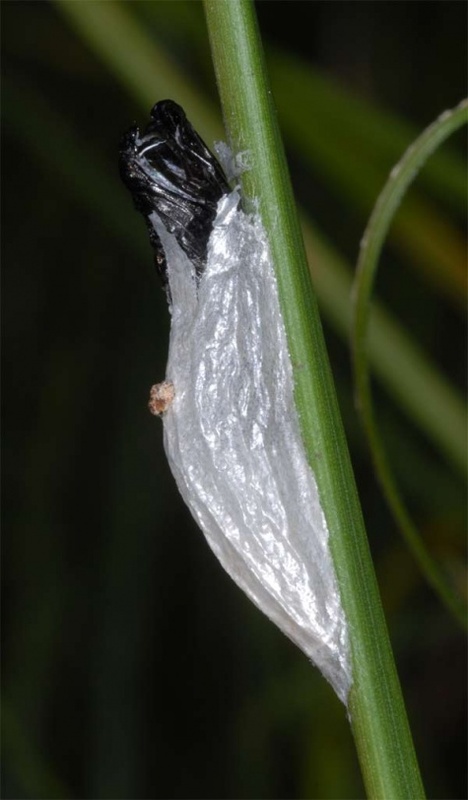 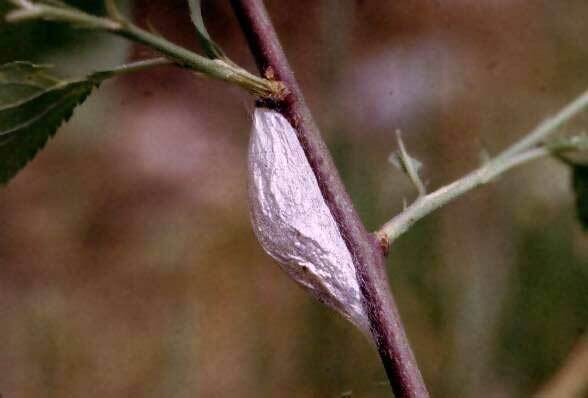 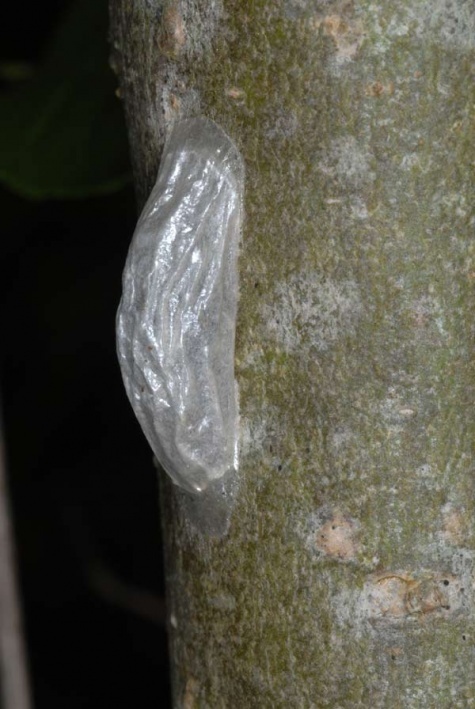 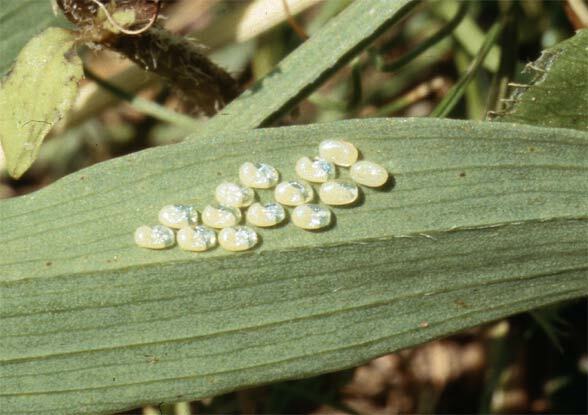 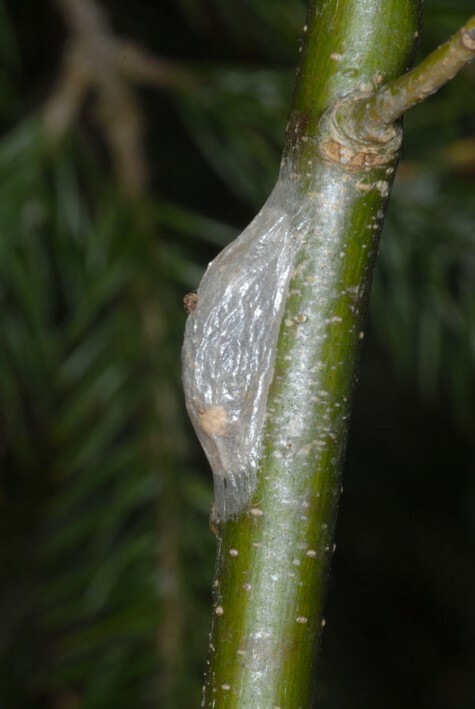 The whitish silvery cocoons are often constructed on thin branches and tree trunks in 0.5 to 2m above ground and allow the specialists to detect the occurrence even after flight time. 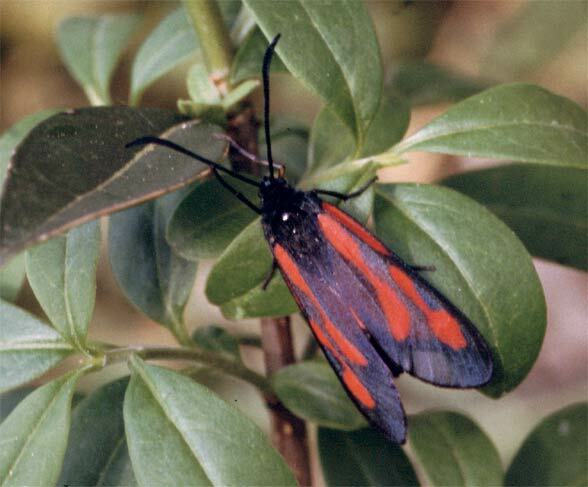 Zygaena osterodensis is severely threatened by increasing darkening processes in the forests (dense afforestations, nitrogen deposition), which is partly also due to the decline of traditional forest management practices (coppice), nitrogene eutrophication via air, afforestation with schadow tree species such as beech, spruce or maple, and sometimes also due to groundwater drawdown. 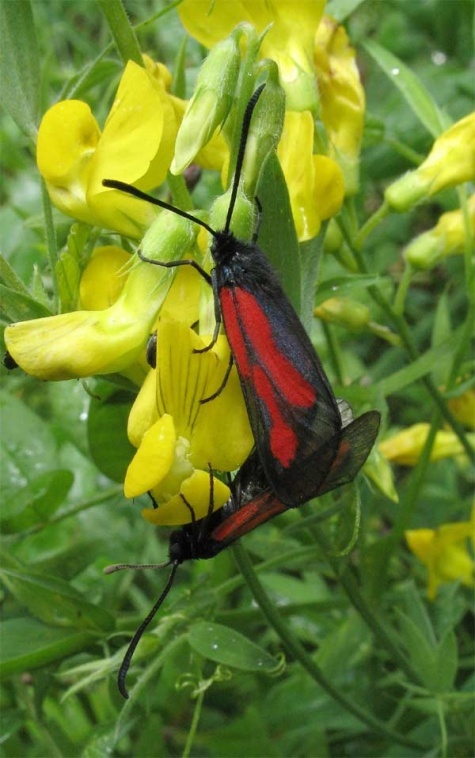 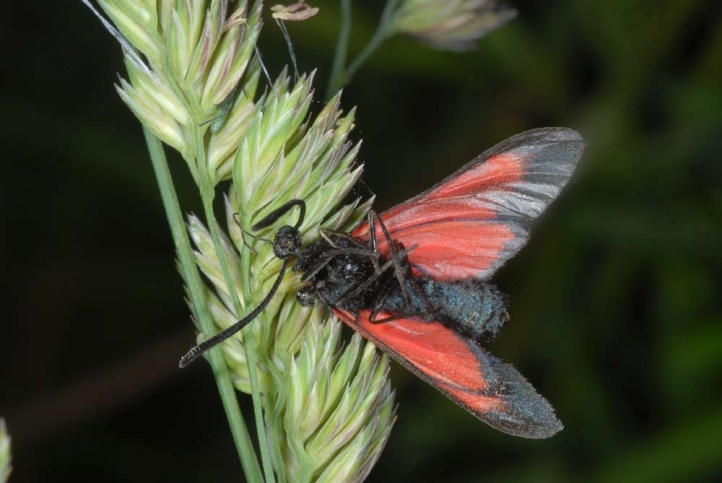 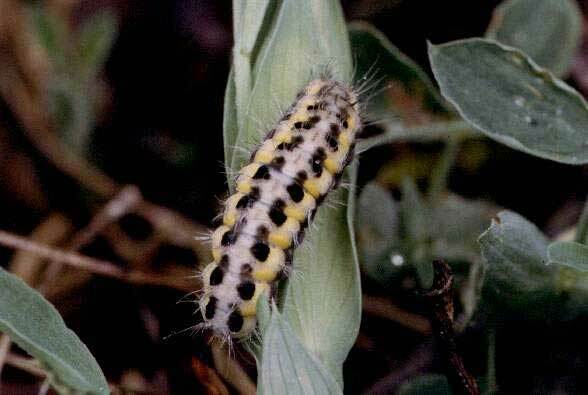 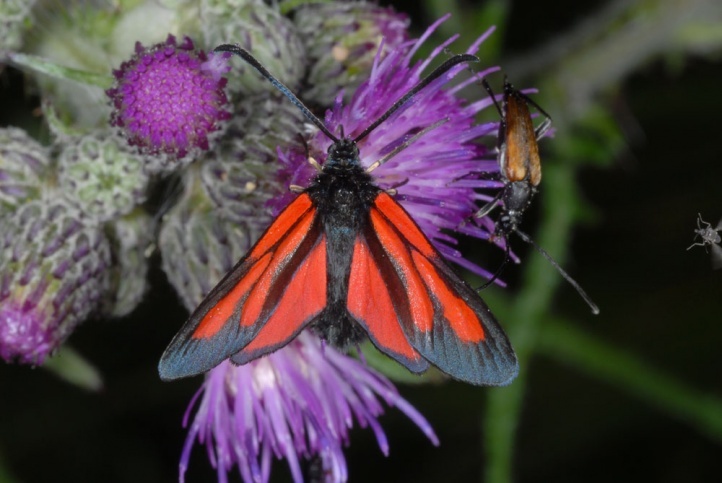 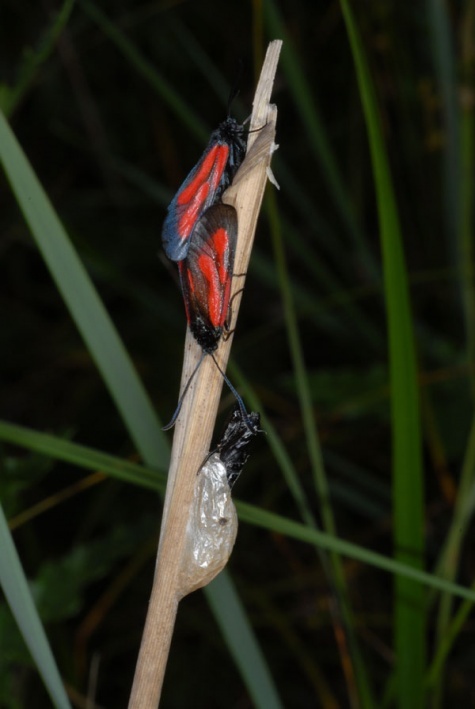 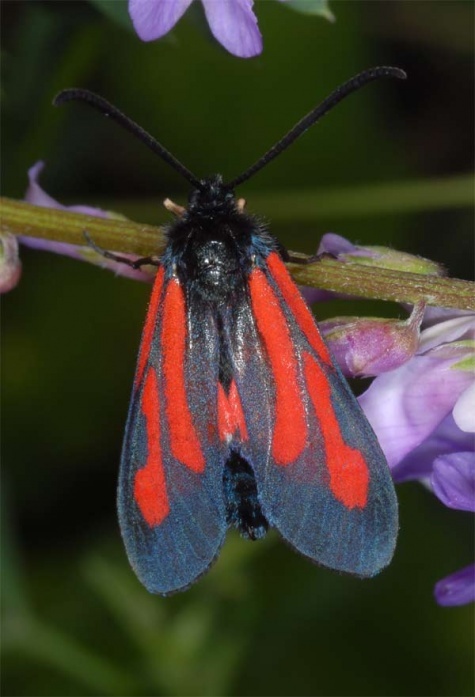 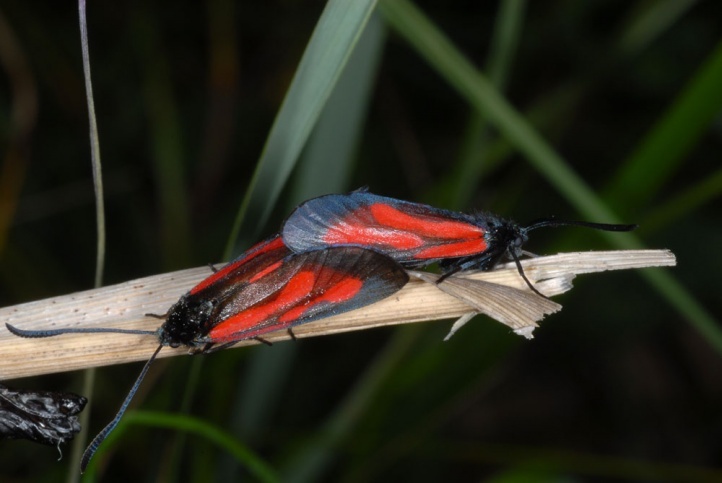 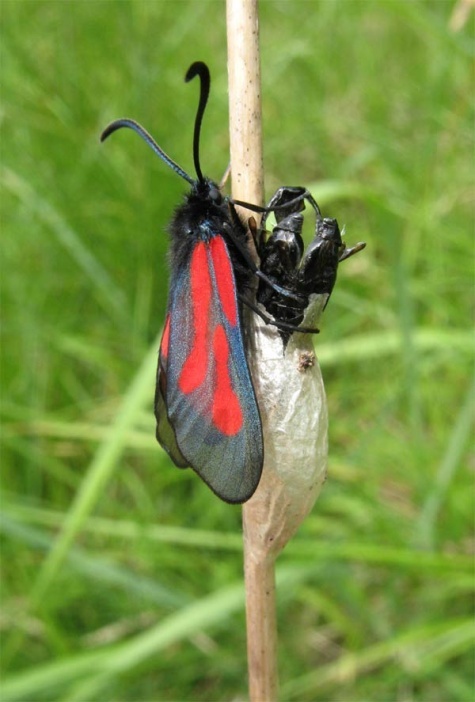 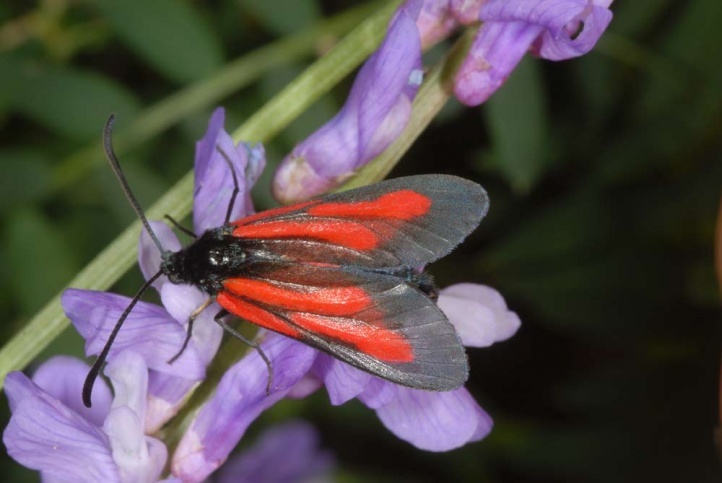 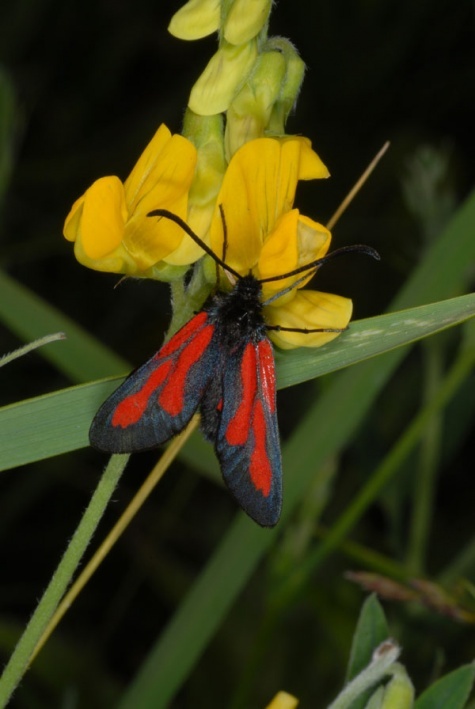 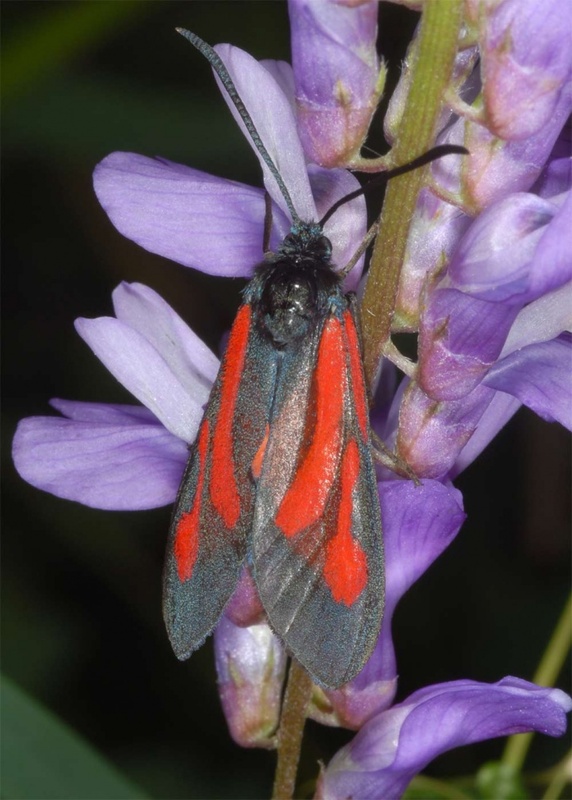 The moths can be distinguished by the unclubbed antenna easily from Zygaena minos and Z. purpuralis. 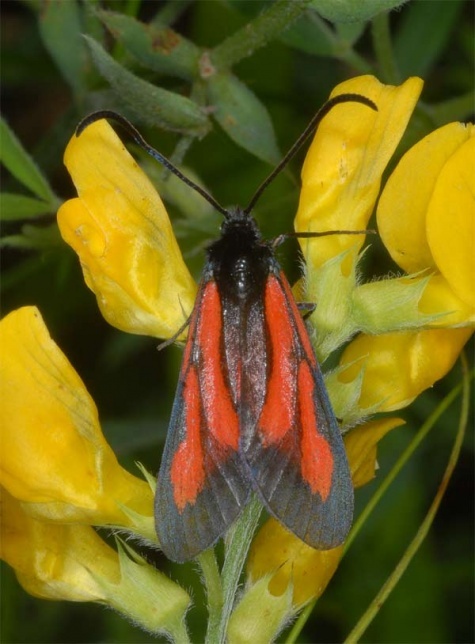 Especially Zygaena romeo, which occurs south of the main ridge of the Alps, is very similar. 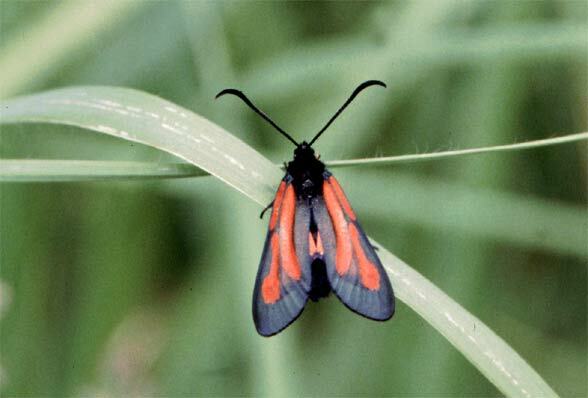 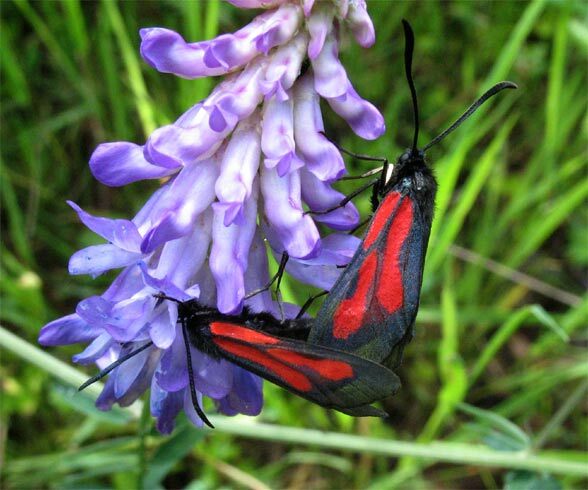 Zygaena osterodensis is distributed from Northern Spain to southern Sweden and eastward to Mongolia (missing in most of Italy). 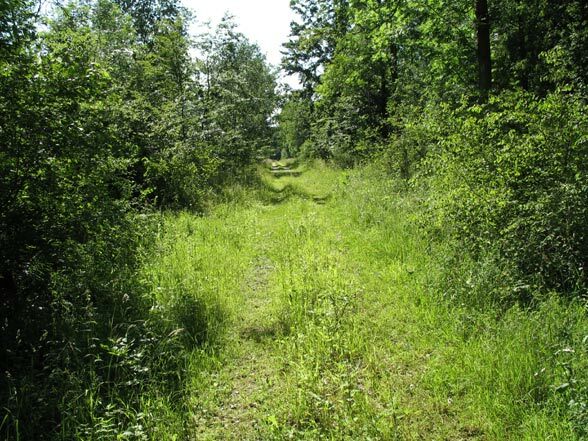 It is a typical element of the deciduous forests of the temperate zone.